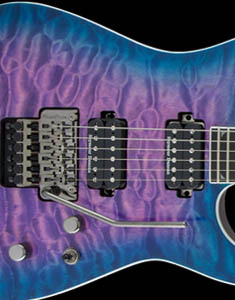 Capable of handling his acclaimed aggressive technique and tone, the USA Signature Mick Thomson Soloist™ is a sinister axe loaded with premium features including genuine mahogany body wings coupled with a graphite reinforced through-body three-piece maple neck—carved to a custom super-thin profile for maximum comfort and high-speed playability, and a 12”-16” compound radius ebony fingerboard with 24 frets. 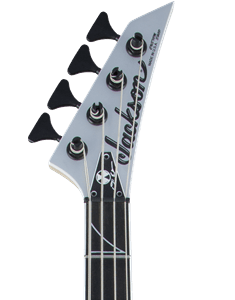 Beastly sounding with classic style, the USA Signature Mick Thomson Soloist™ is available in either a Gloss Black finish with white binding or in Arctic White with black binding. 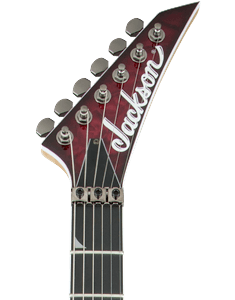 Both colors feature matching reverse pointed 6-in-line headstocks and black hardware, including the Schaller® strap locks and Jackson-branded sealed die-cast tuners. 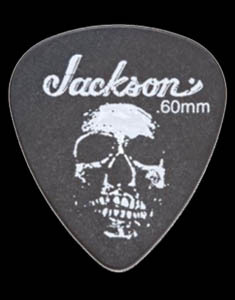 Comes with an SKB® hardshell case.